Home Costs > How Much Does an Acetylene Tank Refill Cost? How Much Does an Acetylene Tank Refill Cost? Acetylene is a common component of multiple chemicals and plastics and is commonly used as a fuel for welding and metal cutting torches. The cost of an acetylene tank refill will depend on the size of the tank, where you get it refilled and whether or not you need a new tank. The prices, from what we gathered, can vary anywhere from as little as $22 for a smaller 10-cubic foot sized tank to as much as $50+ for a tank that’s taller than three feet. These are the prices for an exchange only and would not include the costs of a new tank. According to a forum member on this HomesteadingToday.com forum thread, he was able to swap out his tank at his local Tractor Supply Plus for about $30. We were able to find a helpful acetylene pricing sheet via Stoody Industrial & Welding Supply, a professional welding supply retailer located in San Diego, California. In some states, and according to a local retailer policy, an environmental fee may be charged. This fee is often less than $10. If buying a tank for the first time, pay close attention to the agreement as many retailers only rent them out on an annual basis. If you sign a rental agreement instead of flat out owning the tank, then you may find yourself paying an annual fee. Rentals are often less than $75 per year, but this price can increase depending on the size. The same could be said about buying a new tank. If you needed a new tank for any reason, this could cost well into the hundreds, depending on the brand and size. 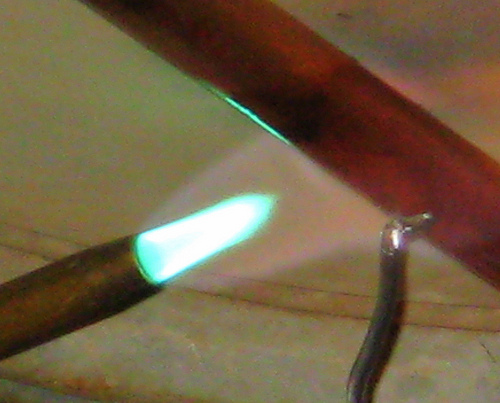 Acetylene is extremely volatile since it readily combusts when it comes into contact with oxygen. The properties of this gas are so unstable that even a small leak can cause serious consequences; therefore, it is very important that acetylene is handled carefully and stored properly. To reduce a potential hazard and decrease its volatility, this gas is typically dissolved in acetone and then stored in specially designed storage tanks with a porous material. These cylinders are normally filled with a small amount of acetone and an absorbent material such as diatomaceous earth. In general, the price of acetylene per cubic foot capacity will decrease as the tank size gets larger. Therefore, you will get a better deal purchasing acetylene in bulk and/or larger quantities, just like a propane tank. Some retailers of acetylene often offer a reduced price per cubic foot when a customer leases a tank from them. For the leased tanks, it is much preferable to deal with a dealer that prices by the cubic foot rather than the cylinder size. Shop around as prices will vary. Experts often recommend checking out a local plumbing or welding supply house for the best deal and try avoiding the big-name box stores. Highly avoid renting and invest in a tank. Similar to leasing a car, you could either consider purchase a slightly used tank on eBay, Craigslist, or if you want to buy new, you could find one via a local retailer.